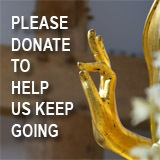 New York, USA -- Against the Stream is more than just another blog about Buddhism. It is a manifesto and field guide for the front lines of the revolution. It is the culmination of almost two decades of meditative dissonance from the next generation of Buddhists in the West. It is a call to awakening for the sleeping masses. That having been said, I must also admit that my own biases and conditioned experiences will surely color these blogs with the unenlightened views and opinions that limit my ability to always see clearly. I have not attempted to be precise or historically correct in my interpretations; rather, I have taken the liberty to share the path to awakening as I have been practicing it and experiencing it from the inside out. I am convinced that what I will present in these writings is, for the most part, in line with the oldest recorded teachings of the Buddha, the Theravadan tradition, as preserved and practiced in Sri Lanka, Burma (Myanmar), and Thailand. Many of these teachings I received directly from the unbroken monastic lineage that leads all the way back to the Buddha. But more important is the fact that I have directly experienced these teachings and the transformative effects of this path over approximately two decades of meditative engagement. 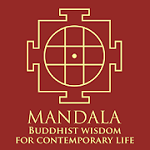 I have will not attempt to present all of the wisdom and compassion of the Buddha in these writings; rather, I will do my best to share teachings and techniques that I believe will lead to the direct experiences of the Buddha's compassionate wisdom.